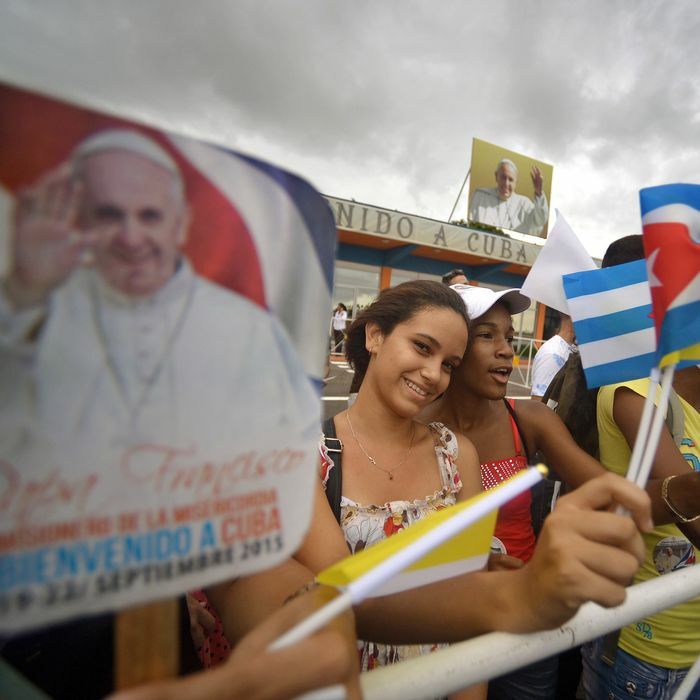 Pope Francis Begins Trip to Cuba and U.S.
Cubans wait for the passage of Pope Francis in Havana. 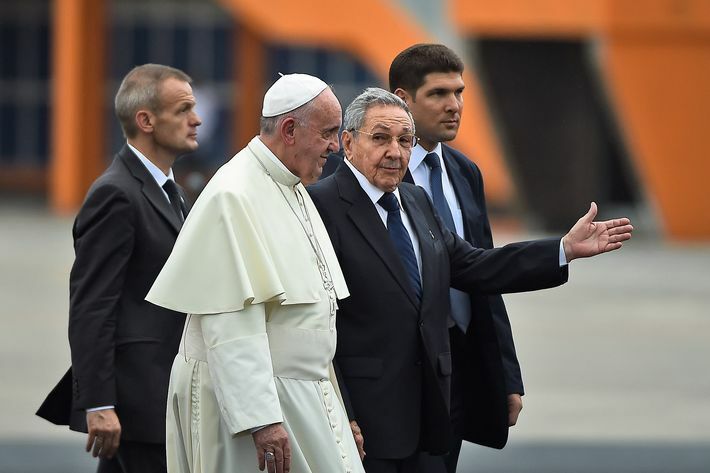 Critics, meanwhile, lament that Francis has not planned any meetings with political dissidents in the country, and there are some reports that political opponents of the Castro regime are being actively oppressed during the pope’s visit. However, it is possible that while there won’t be any public statements on behalf of dissidents and political prisoners, speaking with Mashable, a Vatican spokesperson seemed to hint that other outreach might be done privately. Said the spokesperson, “You can discuss problems of this type without dealing with them in clamorous ways.” In addition, it remains possible that Francis will find other indirect ways to encourage more political and economic reforms in the country. As for the Vatican, they are hoping the trip leads to greater religious freedom in a country where religion was once banned, following the revolution led by Fidel Castro, as well as permission from the Cuban government for the Church to expand and offer more services. The Times reports that even though as many as 60 percent of Cubans are Catholic, just 4 to 5 percent of them attend Mass with any regularity. The Church is hoping to reenergize the small nation’s faithful, which Francis’s Latin American background and diplomatic overtures may help facilitate. 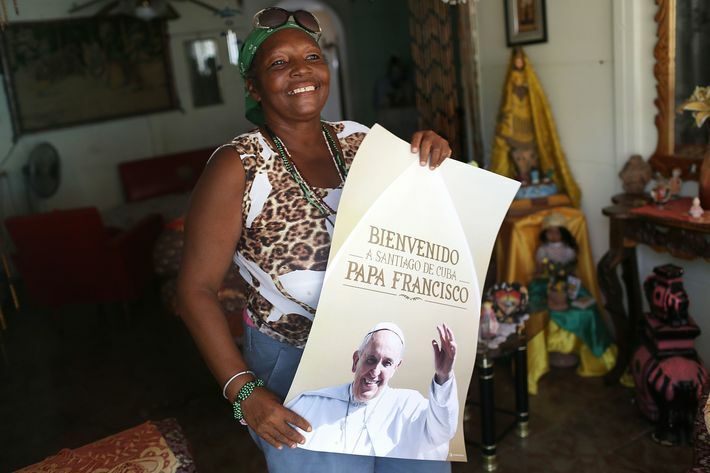 Following today’s activitives, Pope Francis will hold an outdoor Mass in Havana’s Plaza de la Revolución on Sunday, then visit the cities of Solguin and Santiago de Cuba on Monday.